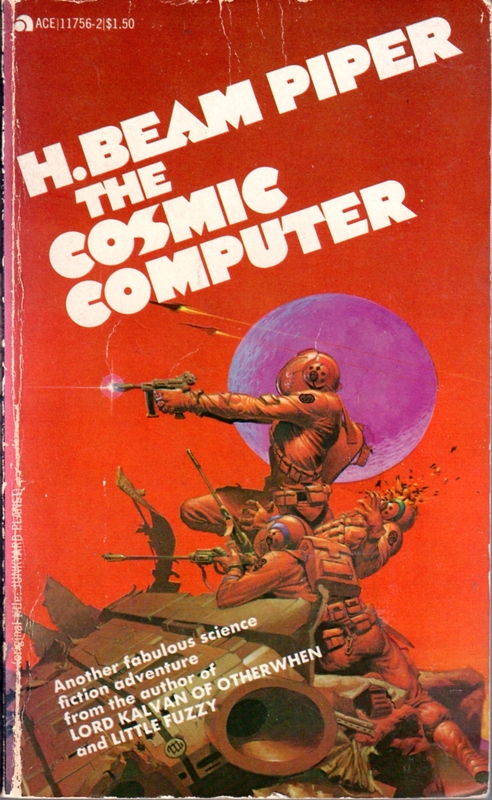 The cover of the Ace edition of The Cosmic Computer by Michael Whelan c/o http://www.zarthani.net/ Say what you like about the 1970s, but their oil painters could do cover art! On Canada Day 2017 I finished re-reading the project Gutenberg text of Piper’s Cosmic Computer (my paperback copy with the wonderful red-and-purple cover is back in Canada). I read this novel every few years, and I always learn something new. Quite a few people who grew up on the American science fiction of the 1940s through 1970s have been reading the news, finding something uncomfortably familiar, and looking back to those Silver Age writers to understand some current madness (Phil Paine reread Revolt in 2100 for the same reason). I can’t talk about that here, but I want to talk about some of the things which I found valuable in this novel.